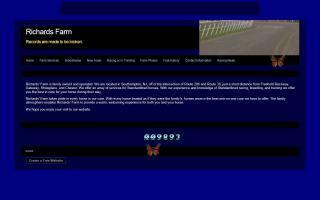 Standardbred Breeders and Stallions Directory - O Horse! Guest ranch and farm vacation, bed and bale, and bed & breakfast in the beautiful China Valley. Located in the Shuswap area of British Columbia. Participate in a working breeding farm or just relax and drink in the tranquility. Ride miles of crown land from your doorstep, fish, or hike. Use us as your home base to tour neighboring Kamloops, Vernon, Salmon Arm, and Armstrong. We make you feel like family. Horse boarding on family owned farm. 200+acres. 1/2 mile stonedust track and swimming pool. We offer many services. We deal with mostly Standardbred race horses from start to finish. 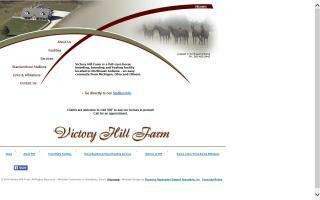 We offer foaling, raising, training, full board, stall board, turnouts, layups... and such. Please check out our website to learn more. Standardbred nursery, breeding farm, and recuperative center. Horse boarding, breeding, and foaling farm in Indiana. Standardbred stallions standing at stud. A full care facility owned and operated by licensed veterinarians. Whipstick Farm includes a half mile training track and breeding operation for a New York Thoroughbred breeding program. Home of Standardbred stallion Slade Hanover (p,3,1:53.1F $186,178) by Albatross-Sleek-Cam Fella and he is standing his first year in Pennsylvania in 2008.